I have made enough changes in my technique to warrant an update as a new lesson. With this mandala, I created more symmetry and created interesting negative spaces. 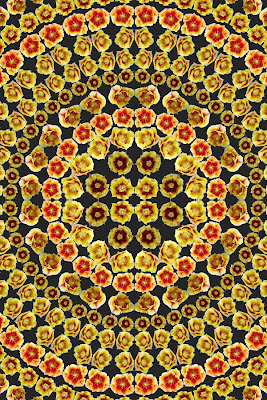 Instead of using individual blooms for the concentric rings, I paired mirror images all the way around. I think this adds a whole new dimension to my designs and I will be doing a lot more of these. I have also started expanding the mandalas out to the edge of the page. I think this gives a suggestion of growth out to infinity.